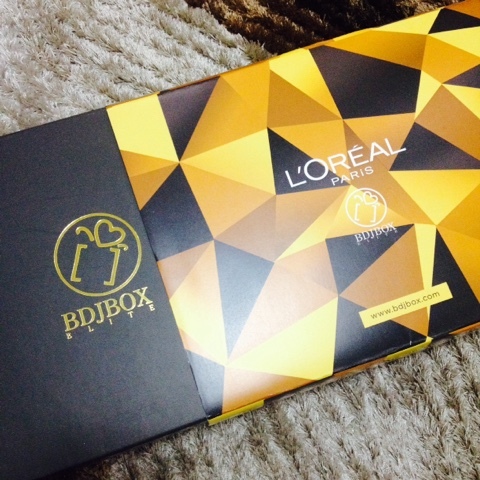 Unboxing the (2015) December BDJ Elite Box: L'Oreal Paris, The 2016 Beauty Standard* | Vanity and Everything in Between. The December BDJ Elite Box came early this month! I wasn't expecting it til next week. 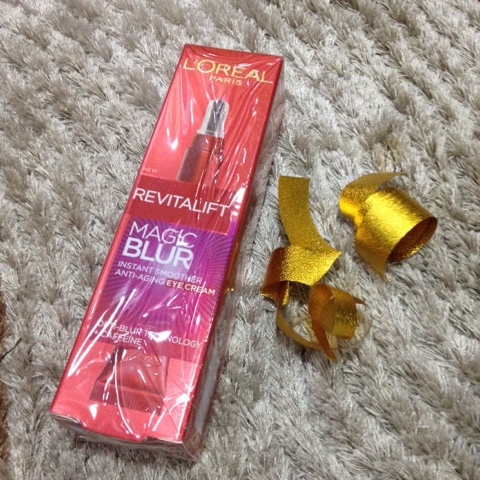 I saw the teasers posted by BDJ Box on Instagram and I somewhat knew it's an exclusive box of L'Oreal. Quite honestly, I was expecting a box full of makeup similar to last month's BDJ Elite Box. 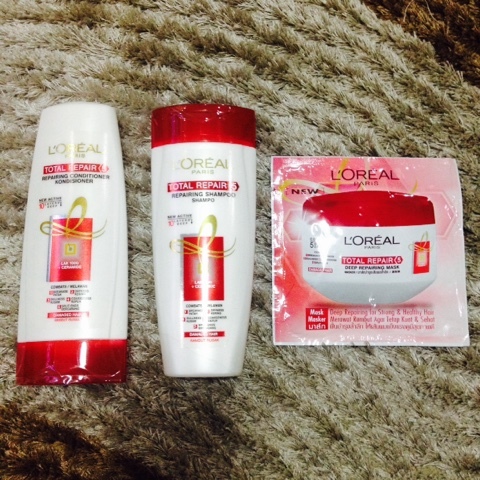 L'Oreal Total Repair (shampoo, conditioner, and mask) - a total of PhP139 for this hair care set, they are supposed to fight breakage, dryness, dullness, coarseness, and split ends. 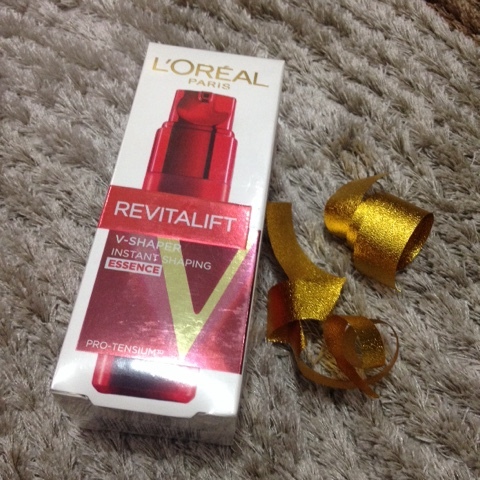 L'Oreal Revitalift V-Shaper (30ml, PhP995) - this powerful instant shaping essence tightens and lifts skin. Experience the science of beauty in 3D as the Revitalift V-Shaper tones your face into a sleek, natural "V" shape! L'Oreal Revitalift Eye Blur (15ml, PhP750) - with its Opti-Blur™ Technology and light-diffusing pigments, the Revitalift Miracle Blur™ Instant Eye Smoother is the first of its kind! 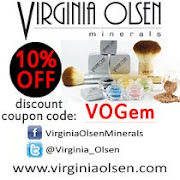 It instantly reduces the signs of skin-aging and fatigue around your eyes, making you look younger and more radiant. 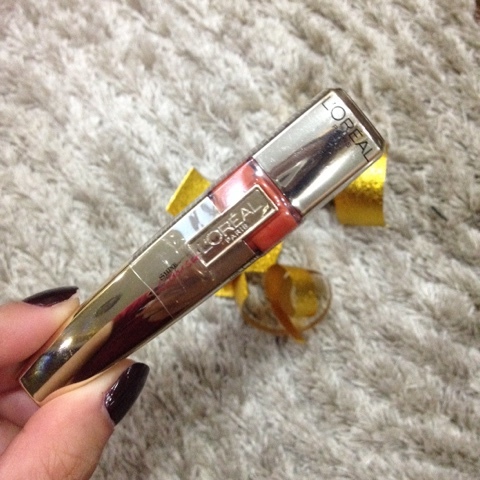 L'Oreal Shine Caresse in Faye (6ml, PhP500) - as the next-generation lip colour, the Shine Carese Lip Gloss combines the long-wear power of a stain with the texture and shine effect of a gloss. With 30% water and 60% oil content, this Lip Gloss exceptionally moisturises and hydrates your lips so you can pucker up to your heart's content! L'Oreal Color Riche Le Vernis Nail Polish (5ml, PhP199) - the polish comes with a built-in Top Coat so it glides on smoothly and easily during application. There are 49 modern and fashionable shades available so you can mix and match your favourite hues to complement your every mood, occasion, and look. 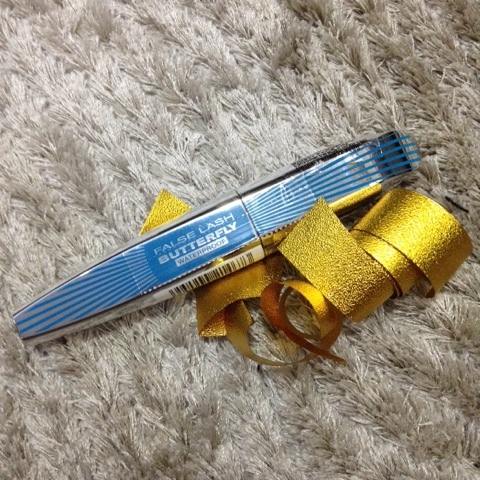 L'Oreal False Lash Butterfly Wings Mascara (7.1ml, PhP500) - complete your cat-eye look with long and stunning lashes! The False Lash Butterfly Wings mascara is the first-ever mascara that comes with an asymmetrical brush. It lifts and stretches your outer lashes to achieve a fanned-out effect! You'll surely want to bat your eyelashes all day with this mascara. 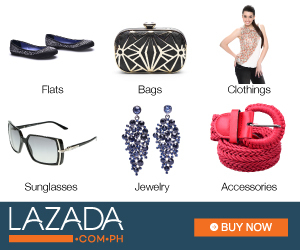 Total amount of the items in this box if PhP3,083 and you save half if you are subscribed to BDJ Box. BDJ Elite Box is sold for only PhP1,480 promising to double the value of your money with the curated items they have in the box.